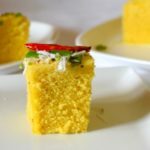 What is Sprouts Moong Cheela Recipe? Sprouts cheela is a pancake made using sprouts moong beans (moth). It is crisp and has a subtle flavor of garlic and ginger. 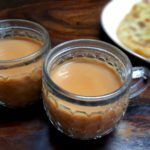 It has the peppiness of chat masala and red chili powder. 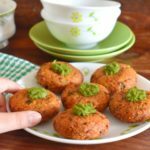 Sprouts Cheela is a super healthy breakfast option as it is ready in no time. This is a great way to introduce sprouts in your diet and we all know about the goodness of sprouts. Sprout cheela calls for sprouted beans. I have used sprouted moong beans, you may use any sprouted beans that you like or have. To add some texture to sprouts cheela I have added little rice flour. You may add in fine semolina or roasted gram flour. Further, some vegetables can also be added such as fresh fenugreek leaves, grated carrots, chopped cabbage, onions, tomatoes etc. I have added the stem of coriander leaves also as it is very healthy, just chopped them well; they will give a nice flavor too. For the change, you can try Sprouts Chaat also. 1. Grind sprout moong with ginger and garlic using water : Put 1 cup sprouted moong in a grinder jar along with 2 garlic cloves and 1 inch roughly chopped ginger. Add little water and make a coarse paste. 2. Prepare batter : In a mixing bowl add ground moong beans. Add 1 tbsp rice flour, salt to taste, 1 tsp red chili powder, ½ tsp chaat masala, ¼ cup grated carrot, chopped coriander leaves, and stem. Mix well. 3. 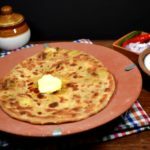 Fry cheela : Heat a pan. Drizzle a few drops of oil. Spread ladle full batter in circular motion to make round pancakes. Cook on low to medium flame till golden brown from both the sides. 4. 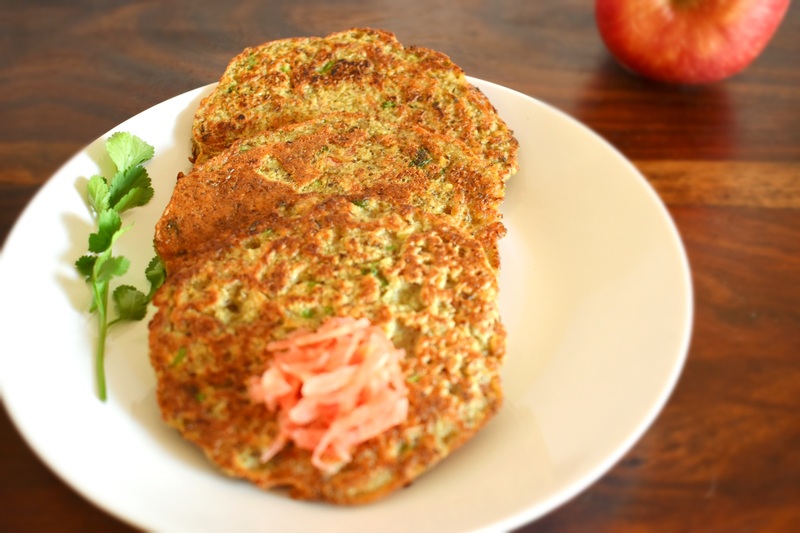 Bon appétit : Serve sprouts moong cheela with green chutney for breakfast. Put 1 cup sprouted moong in a grinder jar along with 2 garlic cloves and 1 inch roughly chopped ginger. Add little water and make a course paste. In a mixing bowl add ground moong beans. Add 1 tbsp rice flour, salt to taste, 1 tsp red chilli powder, ½ tsp chaat masala, ¼ cup grated carrot, chopped coriander leaves and stem. Mix well. Heat a pan. Drizzle few drops of oil. Spread ladle full batter in circular motion to make round pan cakes. Cook on low to medium flame till golden brown from both the sides. 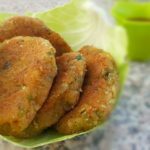 Serve sprouts moong cheela with green chutney for breakfast.